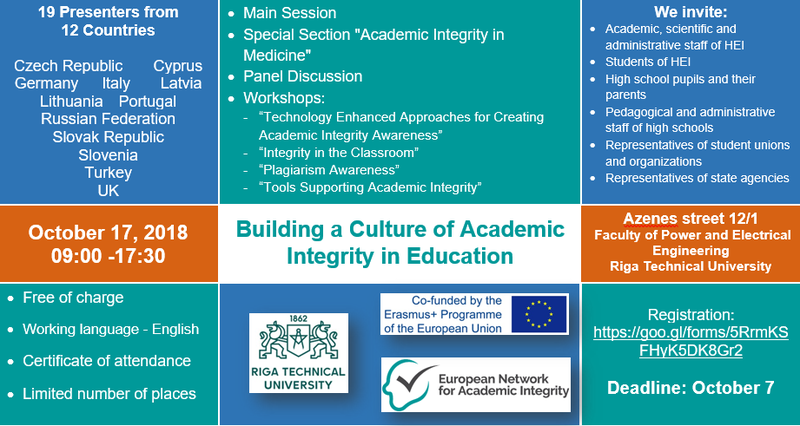 The international conference Plagiarism across Europe and Beyond aims to be a forum for sharing best practices and experiences by addressing issues of academic integrity. The conference brings several prominent names in the field of academic integrity together from all over the world. With regards to the crucial role of ethics and honesty in academic work, universities are in need of more effective policies against infringements of academic standards. The conference therefore aims to contribute to the standardization of sanctions towards academic misconduct by approaching the issue from several perspectives such as detection and prevention of plagiarism, the impact of text-matching software, types of plagiarism, teaching norms of best practice, and institutional and national standards. As academic integrity is considered to be culturally bound, standardizing sanctions requires a careful examination of several related cases from different countries. Due to its geographical location, Turkey bridges not only the continents of Europe and Asia but also various cultures, making it a perfect location for a conference that includes meeting with relevant researchers from all over the world. Plagiarism across Europe and Beyond is jointly organized by Canakkale Onsekiz Mart University, the European Network for Academic Integrity and the Council of Europe. The Conference aims to share best practices, raise issues, and promote and discuss recent developments in theoretical and empirical research on academic integrity. The conference aims to build up a roundtable for sharing best practices and experience with addressing ethical issues within academia and society as well as to contribute to relevant managerial solutions. The conference will be held on 11-12 October 2018 in Vilnius, Lithuania. High quality papers presented at the conference will be selected for publication in the international academic journal ETHICAL PERSPECTIVES (indexed in Scopus, Web of Science and other databases). More information is available at http://etika2018.mruni.eu/.